October 19, 2013 May 15, 2014 - 4 Comments. 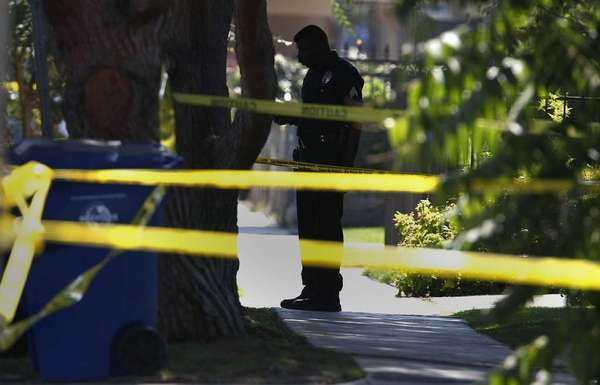 In a city that averages about one slaying a day, Los Angeles has not had a homicide in nine days, a stretch that has not been seen since 2010, according to figures from the L.A. Police Department. “If you would have told me 20 years ago that we would go nine days without a homicide, I would have never believed it,” Cmdr. Andy Smith said Friday afternoon. Since 2000, the longest the city has gone without a slaying was 10 days from Aug. 30 to Sept. 8, 2010, according to figures compiled by the department. “If we can break that, it would be remarkable,” Smith said. The most recent homicide in the city occurred Oct. 8 and was the 217th this year. Homicides are down nearly 9% from the same period in 2012, a drop of 21 killings. The last time the city went more than a week without a homicide was from March 6 to March 13, 2012. Only 9 days, well the black lives matter movement was short lived, especially cuz there killing themselves as always. cable, herringbone, byzantine, Figaro, slope, Madeira, wheat chain, and a host of others. Dress to impress was the motto for the time, and there was no such thing as too much. the everyday to the special, from simple to distinctive. care has become centered not on the needs of patients, but around the needs of the system itself. stress tends to cultivate in regards to little one cleanliness.